The Model Residential Tenancy Act, 2011 does not apply to rental units owned by the Government, local authority, religious or charitable institutions and Wakfs and also rental units which have been let out by institutions to employees as a part of service contract. - Tenancy Agreement entered into after the commencement of this Act shall have to be registered or notarised within 3 months from the start of the tenancy. - In case of any changes in the Agreement, the same must be incorporated in a new Tenancy Agreement which must be registered or notarised within 30 days of the changes having occurred. - An unregistered existing tenancy must be registered or notarized within six months of the commencement of this Act. Provided that at the end of the period of 24 months from the commencement of this Act, a new tenancy agreement must be entered into and for all purposes the tenancy would be construed as a new tenancy after this period. - The tenant must approach the landlord for renewal or extension of the tenancy at least 2 months before the end of the tenancy period. - If a fixed period tenancy is not renewed and the premises has not been vacated by the tenant, the tenancy shall be deemed to be renewed on a month-to-month basis on the same terms subject to any change that may be made in the rent. - If a tenant dies, the tenancy will continue till the end of the tenancy period. - Daughter-in-law being the widow of a predeceased son. . Provided that the successor was living with the deceased tenant as a family member and was economically dependant on him and the successor’s spouse or dependant children do not occupy a residential unit in the same urban area i.e area under a Municipal Corporation or Municipal Council. A tenant cannot sublet or transfer/assign his rights without the prior consent of the landlord and where the premises have been lawfully done so, the tenant must notify the landlord of its commencement or termination within one month. After the commencement of this Act, no premises can be requisitioned by any local authority or Government and those which have been requisitioned or allotted under previous rent acts before the commencement of this Act shall be derequisitioned and their possession will be reverted to the landlord within 6 months of the commencement of this Act. - A landlord must give a notice in writing three months before the revised rent becomes due and if the tenant fails to give a notice of termination of tenancy in such a situation, he shall have deemed to have accepted the increase. - A landlord may not increase the rent during the continuation of the rental agreement unless such agreement expressly states the amount or method of increase. 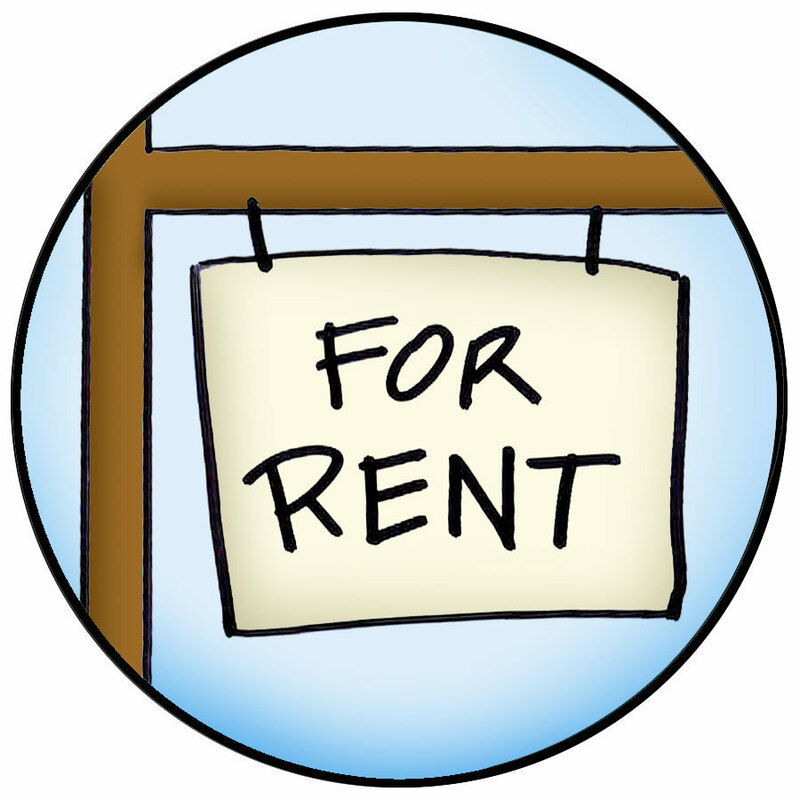 - No tenant can sublet or assign the rental unit for a rent higher than the rent he pays to the landlord. Unless agreed upon, it will be unlawful to charge a security deposit of more than thrice the monthly rent. The security deposit must be refunded after deduction of liabilities, within one month after vacation of the rental unit. 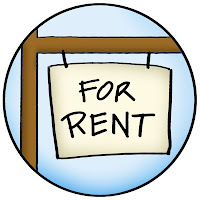 A landlord or the Property Manager may enter the rental unit with a written notice to the tenant at least 24 hours before the time of entry to carry out repairs or for inspection to ascertain the habitable state of the rental unit or for any other reasonable reason. The time of entry must be between 7:00 A.M. to 8:00 P.M.
Subject to the Agreement to the contrary. both the landlord and the tenant shall be responsible for the respective repairs and maintenance as stipulated in the Schedule - III of the Act. If the tenant refuses to carry out his part of the repairs, the landlord may get such repairs done at his own cost and deduct the amount spent on such repairs from the Security Deposit. Similarly, if the landlord refuses to carry out his part of the repairs, the tenant may get such repairs done at his own cost and deduct the amount spent on such repairs from the monthly rent, provided that such deduction from the rent in any one month cannot exceed 50% of agreed rent for one month. If the rental unit is uninhabitable without repairs and the landlord has refused to carryout the required repairs, after being called upon to get the repairs done in writing by the tenant, the tenant will have the right to abandon the unit after giving landlord a 15 days notice in writing or approach a Rent Tribunal. - A landlord may terminate a tenancy by giving 3 months notice to the tenant, if he requires the possession of the rental unit for residential occupation by himself/herself or his/her spouse or children or parent/s. - The Act mentions certain situations where due to certain acts by the tenant, the landlord may terminate the tenancy by giving 15 days notice to the tenant. - The tenant may terminate the tenancy by giving a 2 months’ notice or 2 months’ rent in lieu of notice to the landlord, if the tenancy is for more than a year and by 1 month’s notice or 1 month’s rent in lieu of notice to the landlord, if the tenancy is for less than a year. 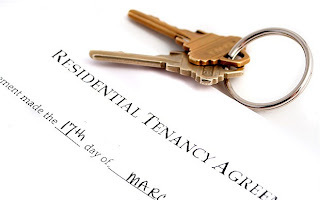 If the tenancy is for more than 5 years, the landlord may terminate the tenancy without giving any reason for termination, after serving a notice of 6 months for vacation of the rental unit to the tenant. To expedite the process of settling disputes, which often linger for decades, the model law provides for reference to a Rent Tribunal to revise or fix the rent. The Act lays down the constitution of Rent Tribunals and Appellate Rent Tribunals and their jurisdictions, procedures and powers. The Act also contains provisions relating to appeal, revision, review and execution of orders. The Act also states that civil courts shall not have jurisdiction over matters which can be decided by Rent Tribunals. Matters in other courts, over which Rent Tribunals have jurisdiction, shall stand transferred to them. If a landlord intends to sell the rental unit, he must give 14 days’ notice to the tenant before the rental units is made available for inspection to the prospective buyers. The state government may by orders make provisions which may be necessary for removing any difficulties in enforcing the provisions of the Act. The state government may also make rules by notifications for carrying out the provisions of the Act, subject to such rules being laid before the legislative assembly. The Act also repeals the State Rent Control Act to the extent it applies to residential premises. Schedule I to the Act lays down the particulars which must be present in New Tenancy Agreements. Schedule II to the Act lays down the terms of tenancy between the landlord and tenant of the existing tenancies. Schedule III distributes the maintenance responsibilities of the rental unit between the landlord and the tenant. The introduction of the Model Residential Tenancy Act, 2011 has generated mixed response. Tenants have criticized the provision of the Act which seeks to revise rents in accordance with prevailing market rates. This will directly affect the lives of lacs of tenants staying in the 16,000 odd cessed buildings in Mumbai, who are currently paying a monthly rent of as low as Rs.100/-. The new law would spell disaster for Mumbai, where thousands of old properties are still rented out under the long-standing ‘pagdi’ system. Under this practice, the tenant pays a big non-refundable lump sum at market rate at the beginning with the understanding that the landlord will charge only a minimal rent. If the Act is implemented, these tenants will have to pay rents nearer to market rates. Landlords, on the other hand, welcomed the Act. According to them, this Act will help them to collect rents in consonance with the prevalent market rates. Sir it is really very helpful information! Can you give any rough idea around how long will it take to pass this act & come into force?